DAVID LE/Staff photo. 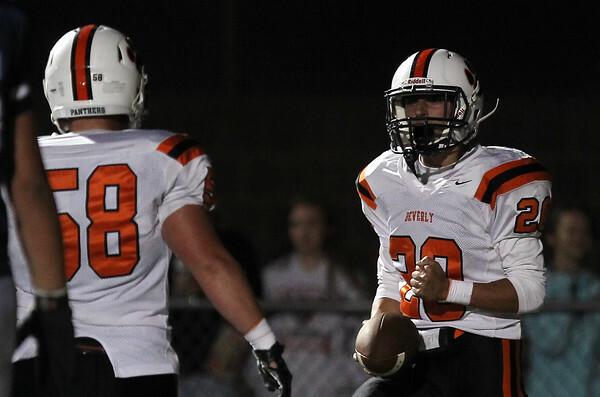 Beverly junior Sam Abate (20) celebrates his touchdown with a fist pump. 9/25/15.